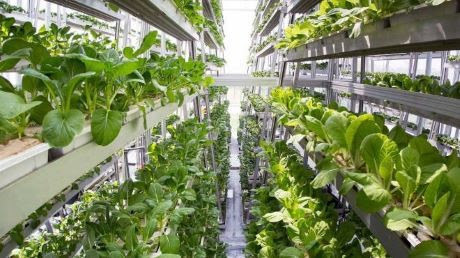 A Russian start up, Mestnye Korny, which is engaged in the construction of urban vertical farms, will build 10 sites for the cultivation of leafy greens over the next three years, with an overall capacity of 1 thousand tons per year. The project has attracted investments worth 79 thousand euros from the foundation TealTech Capital, founded by the owner of retail company VkusVill and his partners. “For the kind of systems produced by Mestnye Korny, it is vitally important to have an efficient logistics scheme as the optimum selling period for lettuce is less than three days”, noted the executive director of the National Fruit and Vegetable Union, Mr. Mikhail Glushkov. The representatives of Mestnye Korny are planning to have a yearly turnover of about 13 million euros. The overall investments to the project may reach 9.8 million euros. The conditions of franchise development in the regions have not been defined yet. The potential yearly volume of the city-farm greenery market is evaluated by the Mestnye Korny at 140 thousand tons and the turnover at 923 million euros. The first phase of the farm for 8 tons of basil and rucola will be launched in Moscow by the end of the year. By March 2019, the farm should be operating with a productivity of 160 tons.